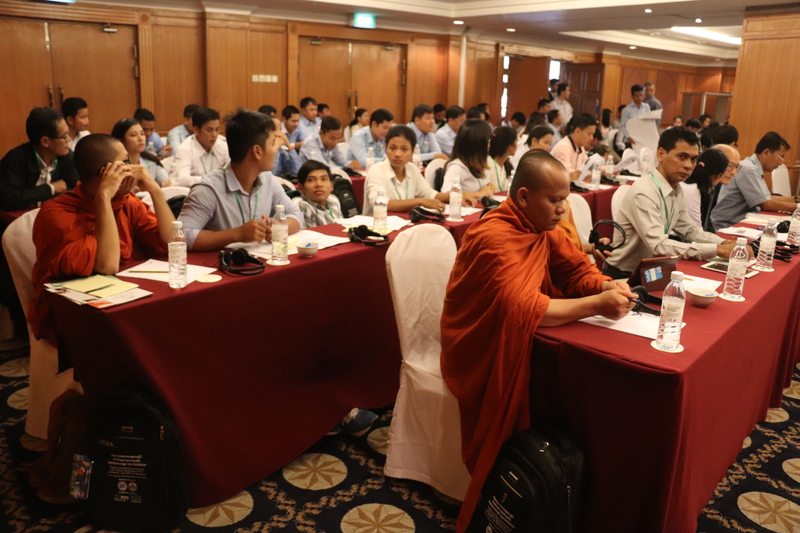 “Capacity Building Workshop on Low Carbon Development for Cambodia, Lao PDR, and Myanmar” was held on 29 September 2017 in Phnom Penh, Cambodia. About 120 people participated in this workshop from Cambodia, Myanmar, Lao PDR, Thailand and Malaysia. The main purpose of this workshop was to deepen knowledge-sharing and to promote capacity building in the ASEAN region by presenting research/policy progress, results and outlook from Cambodia, Lao PDR and Myanmar, as well as introducing cases in Malaysia, Thailand and Japan. Some of the Cambodian participants were invited from nearby universities for the purpose of human resource development of the next generation, and from Phnom Penh municipality for the purpose of promoting more concrete actions and implementation. The workshop consisted of four sessions: Relevant policies and measures to respond to climate change in Cambodia (Session 1); Low-carbon development and climate change responses from international perspectives (Session 2); Low-carbon cities: Planning and Actions (Session 3); and Enhancing actions to respond to climate change from low-carbon society research network (LoCARNet) perspectives (Session 4). Each session had a Q & A period and active discussions were made led by questions from the audience which included students.